It is 1885, and a crippling drought threatens to ruin the McBride family. Their land is parched, their cattle starving. When the rain finally comes, it is a miracle that renews their hope for survival. But returning home from an afternoon swimming at a remote waterhole filled by the downpour, 14-year-old Tommy and 16-year-old Billy meet with a shocking tragedy. Blood Meridian for the southern hemisphere. Paul Howarth has envisioned a view of colonialism that's right at home with current models of politically correct movements across the west. 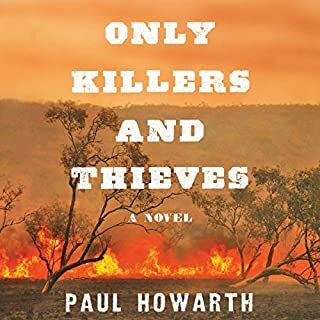 Apart from it's rather one sided and largely incorrect account of the settlement of Australia; which we allow him for this work of fiction, the novel is solid. What is most striking is his accomplishment in the character of inspector Noon, a looming, almost mythical character moving through the land like a reincarnation of McCarthy's, Judge Holden or Kurtz of Conrads Heart of Darkness.